Alonzo joined the Eighteenth Michigan Infantry when Henry Waldron called for volunteers to fight in the War Between the States in 1862. The boys encamped at Lewis Emery’s farm, which was noted for its sweet, clear springs, ideal conditions for both cooking and bathing. Alonzo was captured and sent to the Cahaba, Alabama Confederate Prison Camp, where he remained for six months. In 1865, in a prisoner exchange, Alonzo and a total of about 2,400 people, plus animals and goods, set off from Vicksburg, Misissippi on their way to Cairo, Illinois. The Mississippi River steamboat, the Sultana, with a capacity of 376 people, was their transportation to freedom. On April 27, 1865, three of the four boilers on the Sultana exploded, killing about 1,800 people. 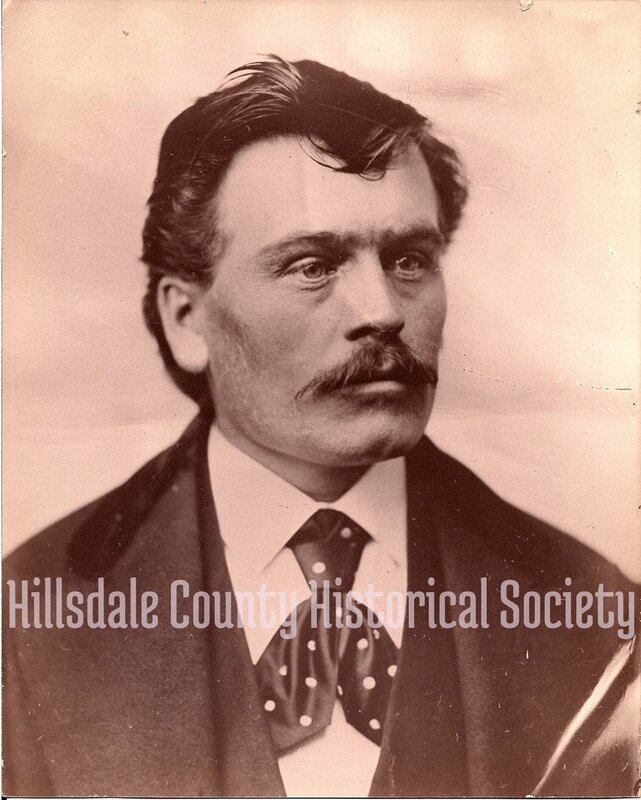 Alonzo survived and returned to Hillsdale County to live out his life.